Carry around your toiletries and bathroom stuff in a Toiletry Bag that looks Marvel-ous! 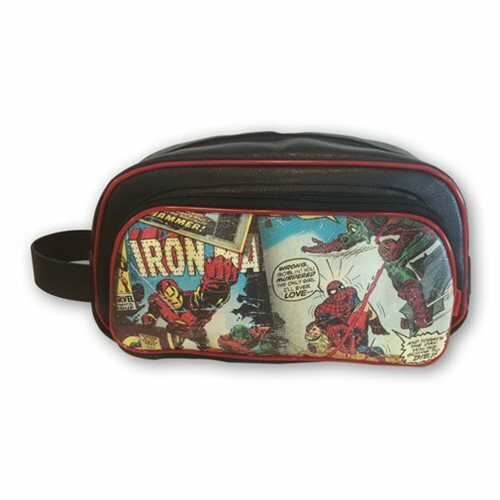 This Marvel Comics Retro Collection Faux Leather Toiletry Bathroom Bag features a cool retro Marvel Comics design. It's got an array of images from classic Marvel Comics like X-Men, Amazing Spider-Man, The Incredible Hulk, and more. Measures approximately 10 1/2-inches wide x 6-inches tall x 3 1/4-inches deep. Ages 13 and up.